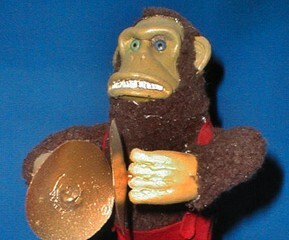 The evil toys from the film were, of course, also animated puppets. Most toys were found, old ones that were modified. A couple of teddy bears were opened up, the armature inserted, the stuffing put back and the cloth sewed shut. A wind-up monkey and a cowboy puppet were made from scratch.